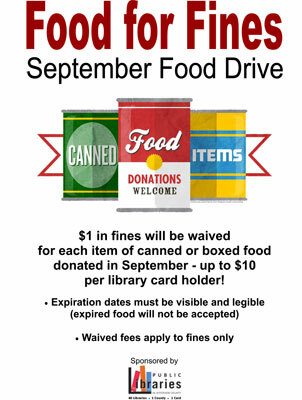 $1.00 in fines will be waived for each food item donated in September for up to $10.00 per library card holder. Donations will be accepted at all 40 Jefferson County public libraries circulation desks during September 2018. What food items are preferred donations?